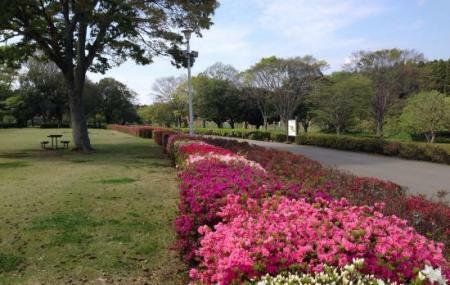 Included in the top 100 list of ‘Urban Parks in Japan’, the Showa no Mori park is the largest in Chiba City. It covers an area of approximately 100 hectares. Inside the premises is a 4.5km cycling course with rental bicycles, kids play area, lawns, ponds, tennis courts and baseball fields. The park is also home to a youth hostel and camping sites. A must visit while on vacation with your kids. Bicycle rentals and booking charged for tennis court / baseball field apply. How popular is Showa No Mori? People normally club together Sanrizuka Sakura No Oka and Chiba City Museum Of Art while planning their visit to Showa No Mori.